A dazzling oasis where forty million people a year let their hair down, Las Vegas has made a fine art of indulging its visitors’ every appetite. From its ever-changing architecture to cascading chocolate fountains, adrenaline-pumping zip lines and jaw-dropping stage shows, everything is built to thrill; as soon as the novelty wears off, it’s blown up and replaced with something bigger and better. The Entertainment Capital of the World offers just about everything: the world’s largest hotels; the brightest stars in show business; shops and restaurants that rival any on earth. It’s true, too, that the lights are brighter in Vegas, splashing into everyones great American Dream! 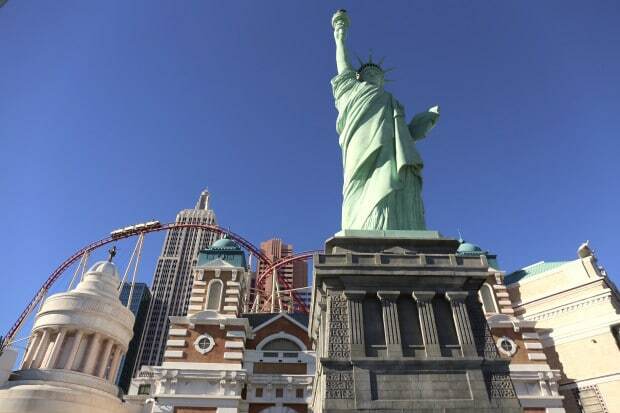 When the team at InterContinental Hotels Group (IHG) challenged me to use IHG Rewards Club Points to organize a trip anywhere in North America I immediately chirped, “Vegas!” As a travel writer who gets around, Las Vegas was one of the last destinations in the US I had yet to conquer. Escaping Toronto’s gloomy late November blues via a long weekend spent soaking up the sun in the desert sounded like perfection. 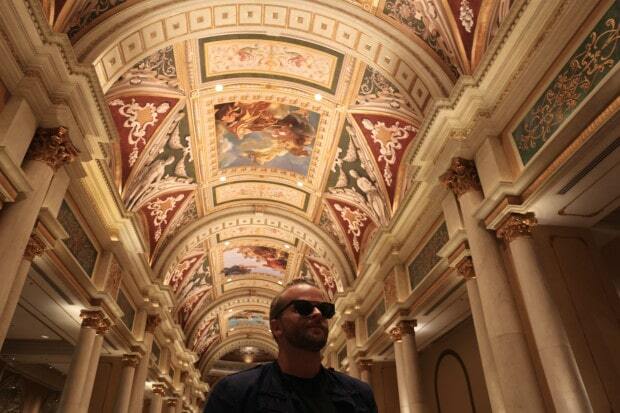 I spent several days researching what’s hot in Vegas to ensure my first visit to Sin City would be a memorable one. I was put to task and given a few weeks to plan an epic Vegas weekend. It took me just a few minutes to confirm return flights on Air Canada and reserve four nights at one of the city’s most iconic properties, The Venetian, an InterContinental Alliance Resort. IHG Rewards Club is the industry’s first and largest hotel loyalty program. The brand’s broad portfolio features iconic properties that are known and loved by millions around the world (including InterContinental, Holiday Inn and Crowne Plaza). IHG Rewards Club offers countless opportunities to earn points and redeem rewards — from Reward Nights at IHG Hotels worldwide to flights, music downloads, electronics, gift cards and experiences via its online global redemption catalogue. After redeeming IHG Rewards Club points for my flight through “Flights Anywhere” and for Reward Nights at the Venetian, I used the IHG Rewards Club Concierge to plan the rest of the trip with my remaining loyalty points. The IHG Rewards Club Concierge is available to members in the U.S., Japan, the U.K., and Germany but I was given special VIP access to try it out for myself. I was able to redeem points for convenient airport transfers, tickets to O by Cirque du Soleil, a Las Vegas Thrill Pass and a night of magic with Penn & Teller. Whether you’ve been hoarding points for years to fully fund a dream vacation, or have a modest savings in your IHG Rewards “bank,” it’s easy to save money when you opt to cash in points on the experiences you love most. The Venetian Las Vegas features all-suite accommodations – with a total of 4,028 suites. 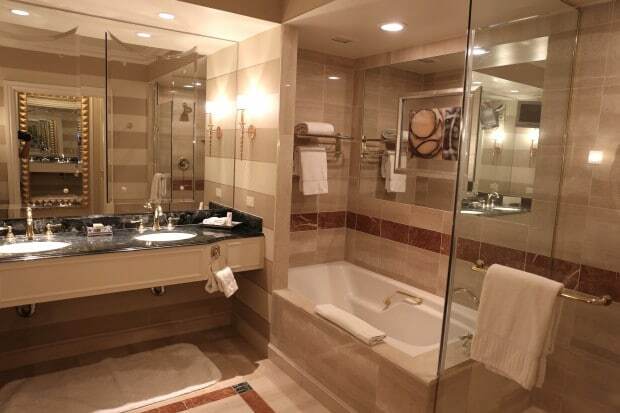 With modern European design aesthetics and sophisticated touches, each suite features an all-marble bathroom and a 20-inch LCD HDTV, a Roman tub with separate glass-enclosed shower and double-sink vanity. Amenities include Sealy Posturepedic pillow-top mattresses with five comfort layers, medium-weight 100-percent white duck down duvets, three flat-screen LCD HD televisions, Roman shades and curtains, 100 percent cotton bath towels, coffee table, ottoman, fully stocked refreshment centre and DVD player. 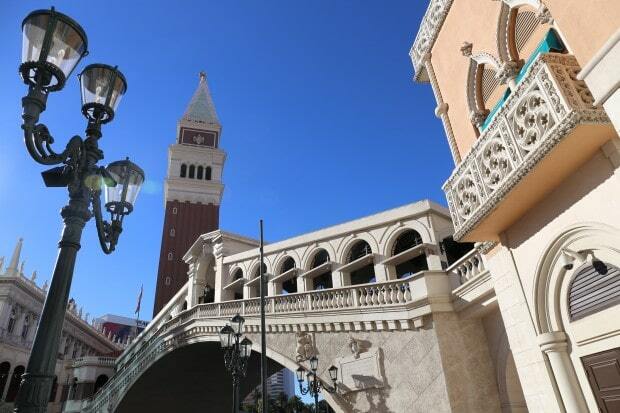 This past June the Venetian finished a complete renovation to all of its suites. The extensive reno included new paint and wall coverings, a replacement of furniture and carpeting, and the installation of larger format TV’s. In addition, the desks were fitted with a new media “hub” system with A/C and USB charging capabilities so you can conveniently juice up all of your gadgets. 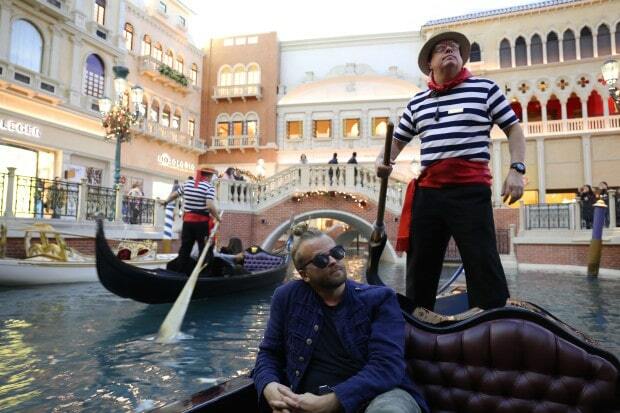 The Venetian’s most iconic, not-to-be-missed experience is a romantic Gondola Ride through the resort’s beautiful architecture while floating on an Italian gondola down a replica of Venice’s celebrated Grand Canal. A friendly, opera-singing gondolier putter’s down a quarter-mile-long canal which snakes through posh Grand Canal Shoppes. 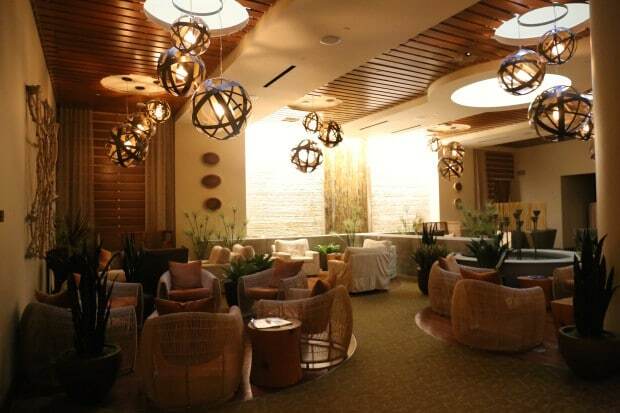 The 134,000 sq ft Canyon Ranch Spa is one of the world’s largest Day Spa’s, offering those looking to indulge in a bit of R&R an extensive menu of rejuvenating spa and body treatments. Unique to Canyon Ranch Spa is the Aquavana, a European-inspired suite of thermal spa cabins, experiential showers, cold rooms and aqua thermal bathing experiences. Complimentary amenities for spa guests include a Crystal Steam Room, Experiential Rains, Finnish Sauna, Herbal Laconium, HydroSpa, Igloo, Salt Grotto and Wave Room. There is also a co-ed Conservatory (pictured below) where guests can relax after their treatment while sipping melon and cucumber infused water. 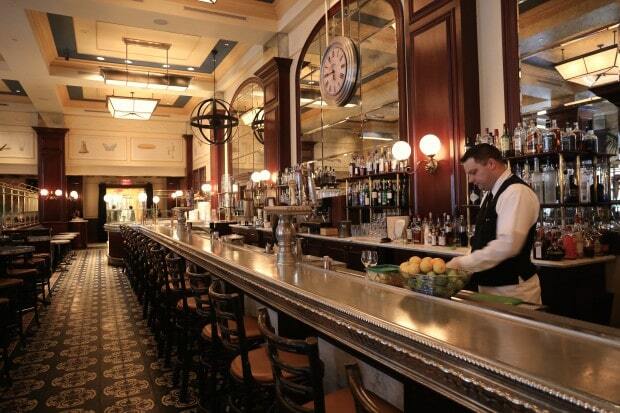 If you’re looking to celebrate your Vegas arrival in style, hop up to the bar at Bouchon in the Venetian for a glass of champagne. Bouchon offers French bistro classics from two-time James Beard Award-winner Thomas Keller (Napa Valley’s famed French Laundry). Authentic French country fare modeled after the original bouchons of Lyon is served in an elegant dining room or on an opulent garden patio overlooking one of the hotel’s posh pools. 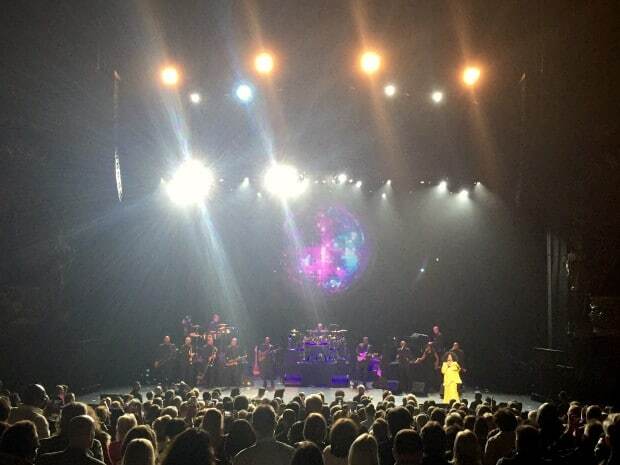 Vegas has become one of the world’s best destinations to watch the world’s most celebrated musical talent. A-List musicians such as Britney Spears and Celine Dion have long running shows which are highly sought after though it’s becoming more common to see top notch acts swoop into the city for a limited run. Upon arrival walk through the casino in search of a cocktail waitress. Sit down at an available slot machine and wave her down so she can see you are looking to play and order a drink. 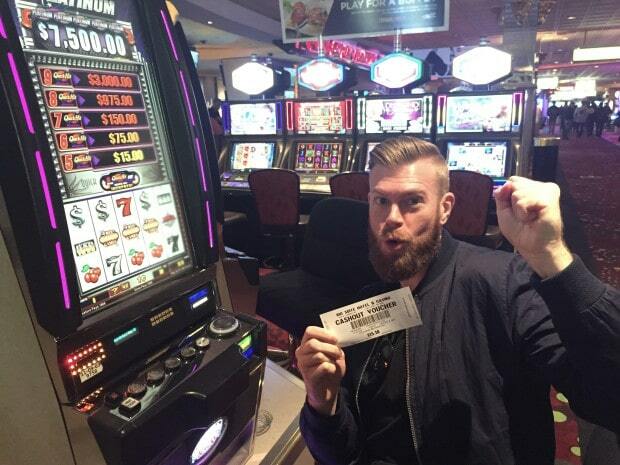 Throw a dollar into a slot machine while you wait for your drink to arrive (remember beverages are free, you just need to tip your waitress a dollar for her time). If you set rules around your gambling habits you’ll come out on top. Essentially if you play a dollar at the slots and tip out a dollar even if you lose your game you’ve only spent two dollars for a rum and coke. And that’s what I call winning! If you know where to look Vegas is full of free entertainment. 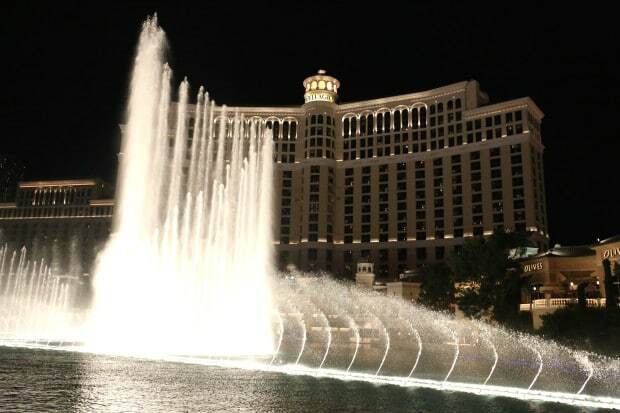 The most famous freebie is the epic water fountain show which takes place every 30 minutes in front of the Bellegio. The spectacular show features thoughtfully interwoven water, music and light designed to mesmerize it’s admirers. It is the most ambitious, choreographically complex water feature ever conceived with each performance offering a unique expression and interpretation of concert opera classics, Broadway beats and pop tunes. 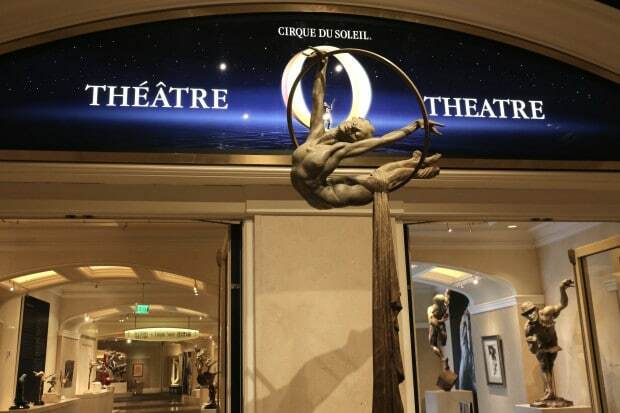 I’d been pining for a pilgrimage to see “O” at the Bellagio ever since I saw my first Cirque du Soleil show 10 years ago. 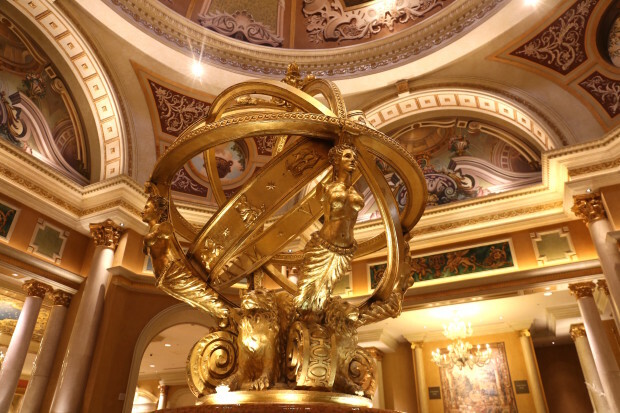 Over the past few years I’ve had the opportunity to attend travelling Cirque shows in Toronto and Seoul and splurged during my visit to Macau to see the awe-inspiring Zaia at the Venetian. Weaving a tapestry of artistry, surrealism and theatrical romance, “O” pays tribute to the beauty of theatre. Inspired by the concept of infinity and the elegance of water, world-class acrobats, synchronized swimmers and divers create a breathtaking experience which will have your slack jaw whispering, wow! 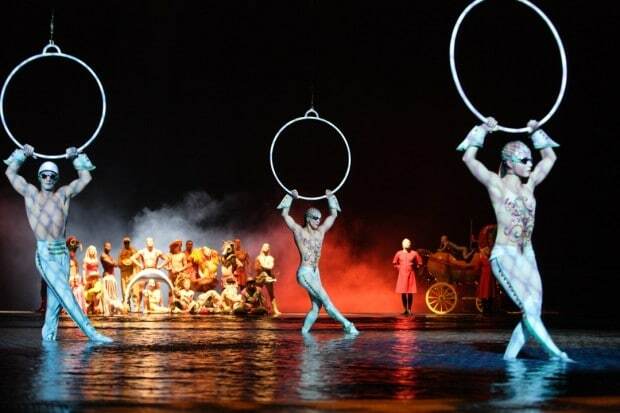 “O” by Cirque has now been added to my lengthy list, Things You Need to See Before you Die. Who knew you could see Britney, Rihanna, Madonna, Katy Perry and Lady Gaga – in drag – all in one show? 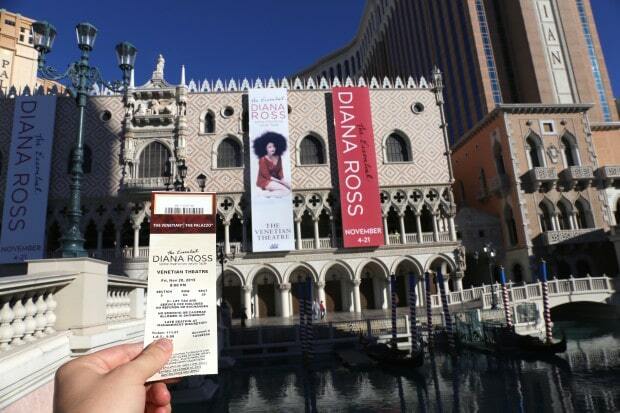 For an unforgettable Las Vegas show experience look no further than Frank Marino’s Divas Las Vegas which plays daily at The Linq. Bursting with energy, the 75-minute production stars Frank Marino, Las Vegas’ longest-running headliner. Marino’s all-star cast of female impersonators is much more than your average drag show. These star performers replicate the likeness of your favourite Divas, from legends like Cher and Tina Turner to today’s hottest talents such as Beyonce and Lady Gaga. Marino kicks off the show as comedienne Joan Rivers, and then changes into outrageous outfits between each act. It’s a hilariously entertaining way to spend your evening. 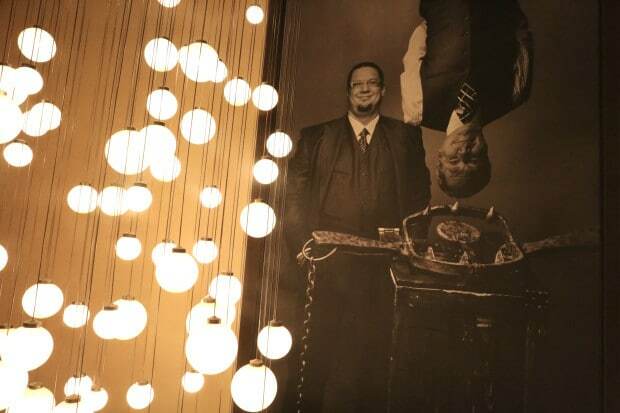 Known for their outrageous blending of magic and comedy, Penn & Teller’s Las Vegas show skewers traditional hat-and-rabbit magic tricks with provocative, hilarious and often, amazing results. After becoming a smash on Broadway and touring the country, the dynamic duo continues their Vegas show, 21 years and counting. 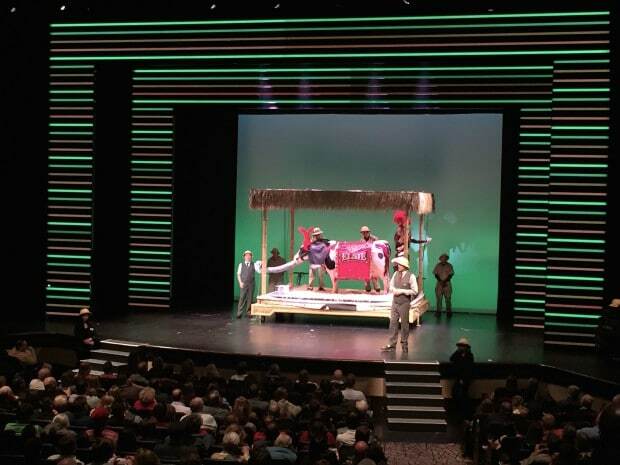 Penn & Teller’s live show on any given night can also involve knives, guns, a fire-eating showgirl and cow (dressed as a pygmy elephant in the photo below). Known as the “Bad Boys of Magic,” for supposedly revealing the secrets to their tricks, they may show you how it’s done, but they still leave you startled! 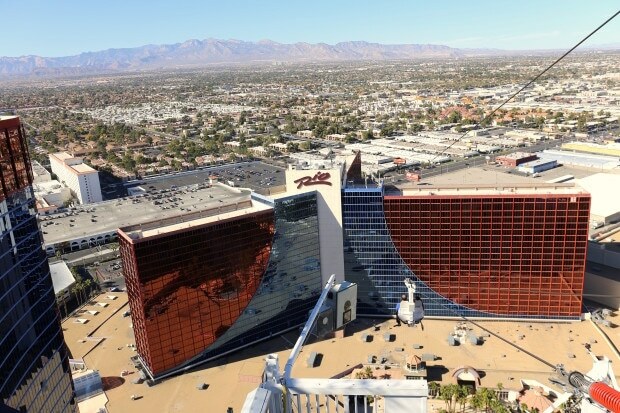 The Voodoo Zip Line sends riders flying in tandem nearly 500 feet in the air, between the two towers of the Rio Las Vegas. This feet-dangling, adrenaline rush, thrill ride is located on the 50th floor patio of the Masquerade tower, and propels riders at speeds up to 33 miles per hour! The Roller Coaster at New York New York has heights of 203 feet, drops of 144 feet and speeds up to 67 mph. Featuring the world’s first heartline twist and dive maneuver, it allows riders to experience the thrilling force of negative G’s. Simulating a barrel-roll in a jet fighter, it rolls 180 degrees, hangs 86 feet in the air, then dives back under itself – promising dizzying excitement and white-knuckle thrills! 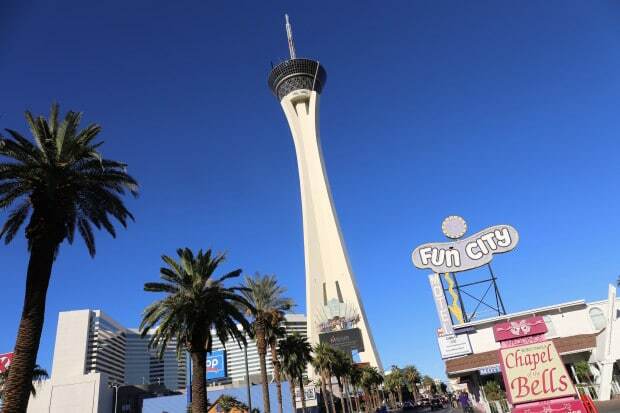 At 1,149 feet, the Las Vegas Stratosphere Tower is the tallest freestanding observation tower in the United States and the tallest building west of the Mississippi River. Once at the top of the Tower you can choose from three heart pounding rides including Big Shot (so terrified my heart stopped), Insanity the Ride or X Scream. If you’ve spent any time walking along the Las Vegas Strip you’re bound to bump into hundreds of boys and girls enjoying a pedestrian bacchanal thanks to the laws here which permit guests to sip alcohol in the street. Fat Tuesday is the go to choice for those looking to sip through a massive slushie cocktail. 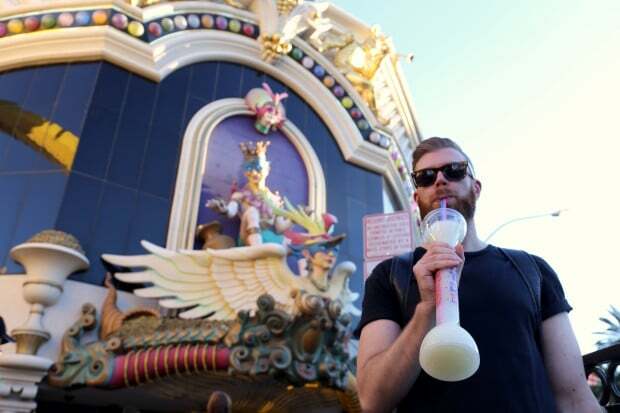 Jonathan and I popped by the shop just outside of Harrah’s and grabbed a Pina Colada which we slurped as we staggered all the way down to Mandalay Bay. 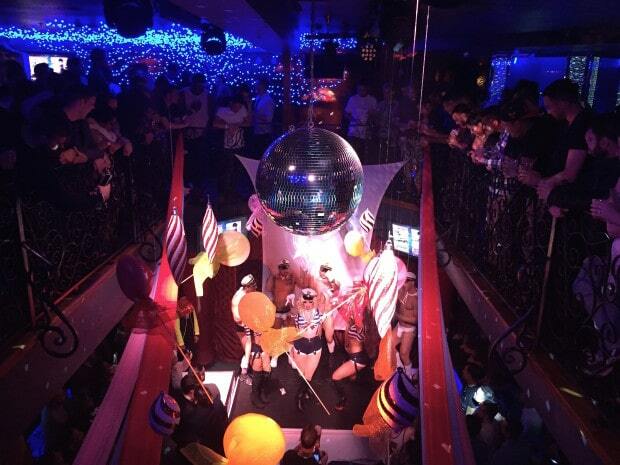 Looking for 24 hours of disco ball dance-tastic fun featuring fierce Drag Queens and Go Go Dancing sailers? Piranha Nightclub is the best gay bar in Vegas located just a short cab ride from The Strip. The popular nightclub features three separate spaces: al fresco patio under the stars, a relaxed bar featuring comfy couch and double decker disco dance floor where Drag Queens and go go dancers perform into the wee hours of the morning.